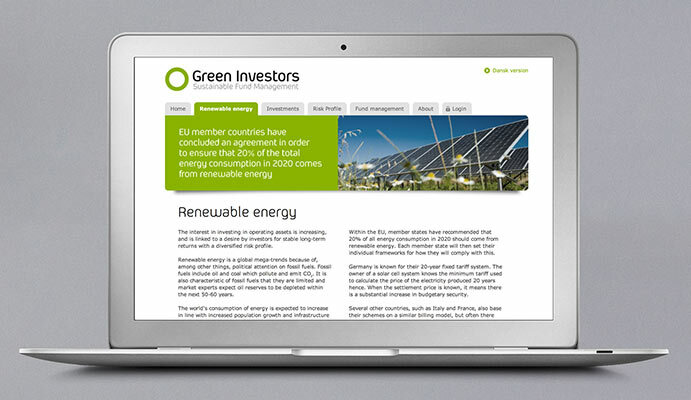 Green Investors is a fund management company focussing on investments within renewable energy in the form of energy companies that produce renewable and CO₂-free energy. 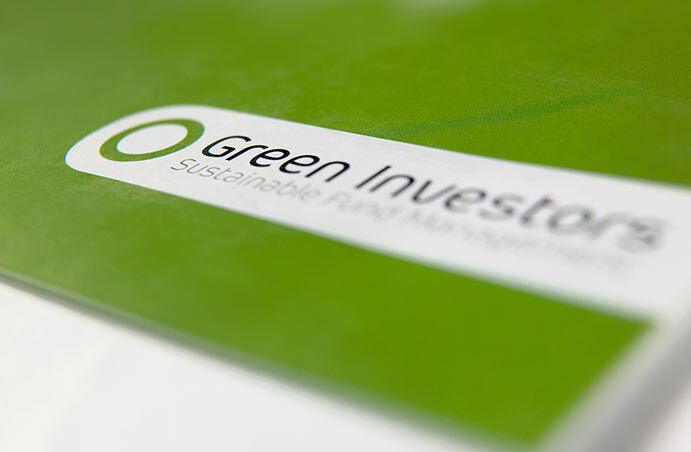 Green Investors’ clients are primarily professional investors. 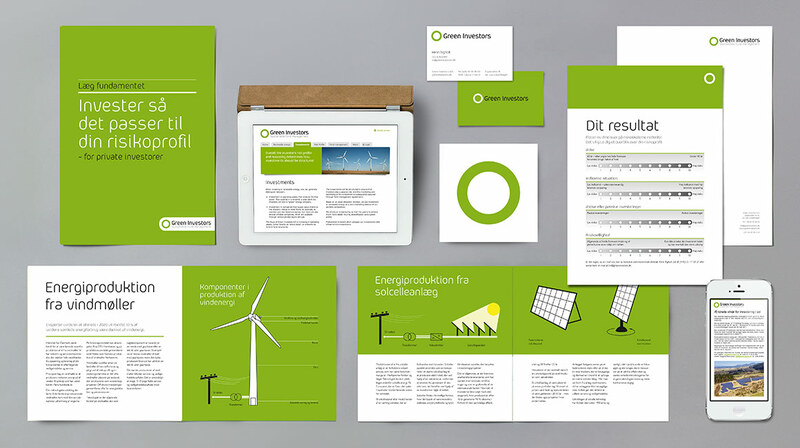 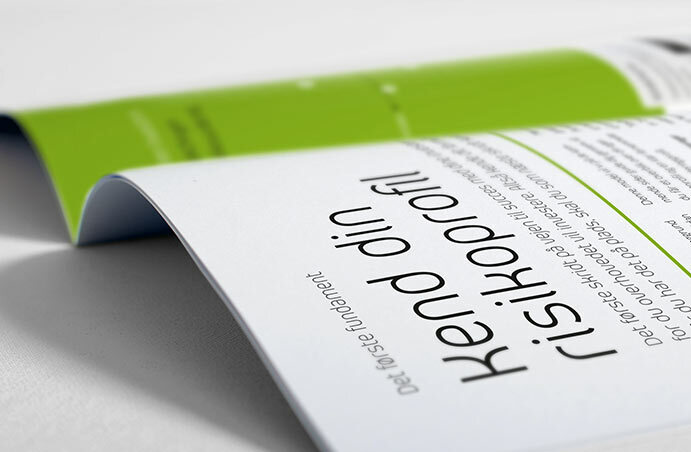 We helped Green Investors with the development of a comprehensive communications platform, brand strategy, visual identity, logo, website and a large range of printed material. 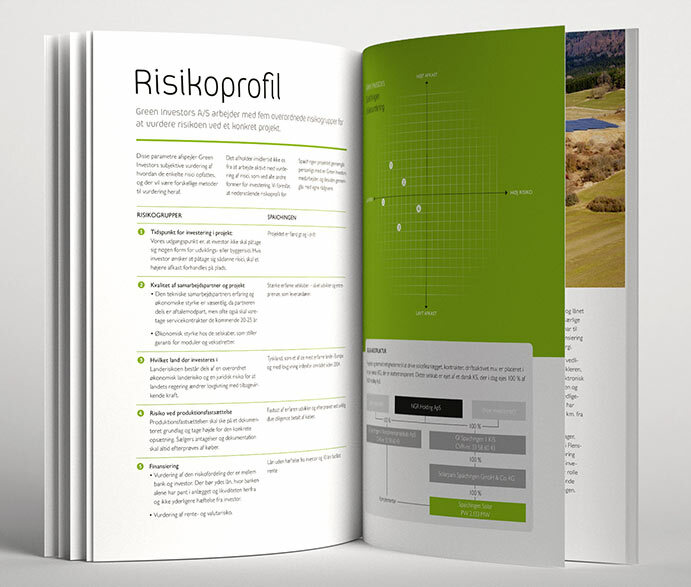 Use of the colour green was a foregone conclusion, and the simple circle – in combination with the threaded tag-line ’Sustainable Fund Management’ – represents a powerful symbol of the principles of sustainability and the renewable use of resources which are central to the company’s activities.